Nationalism has always been an integral part of groups of people ever since they started to live in communities. From the city-states of ancient Greece to Nazi Germany, nationalism has brought together people of all genders, religions and races to fight or work for a common cause. An example of this in a more modern sense would be that that took place during WWII. Nazi Germany was an extreme case of nationalism unmatched by any in history, because of nationalism they were able to rally whole armies and unite the entire country under one school of thought. In the case of even newer patterns, nationalism has even brought together multiple countries in the form of ideas, such as communism and capitalism. These ideas spurred multiple countries to become nationalist because of their philosophies. This is an even greater sense of nationalism, because their ideas were a binding force that made them work together, which is the ultimate effect of nationalism. The economies of Eastern Europe were severely weakened after the fall of Soviet Russia. Many of the surrounding countries plummeted into deep financial crisis, since they relied on Soviet Russia as an integral part of their economies. These nations were also in a state of confusion, since they had relied on the Soviet form of centralized control over their countries and lives. 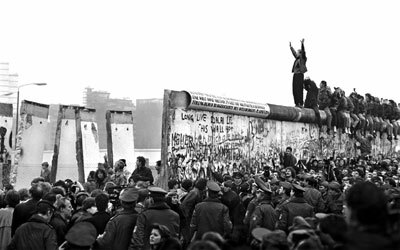 It also resulted in the fall of the Berlin Wall, which reunified Germany as a country. Many of these countries, although not having as dramatic effects as Germany, were also presented with the idea of democracy, and became democratic with free elections. Russia also began withdrawing its troops from Eastern Europe and relaxing government control, even allowing for open elections. This also led to a rise in nationalism, which led to border disputes around Russia and surrounding countries. It also led to the collapse of the Warsaw pact. (also called the Bolshevik Revolution) overthrew the provisional government in favor of the Soviet Union, which was a communist institution. This event was orchestrated by a small group of Russians, and was more deliberate than the February revolution. This group was the Bolsheviks. Because of their unpopularity, they knew they needed to do away with the democratic process. They did this in January 1918 and declared themselves the representatives of a dictatorship of the proletariat. This sparked a Russian civil war, which lasted well into the 1920’s. The Chinese revolution was from 1946 to 1952, and was fought between the Chinese Nationalist Party (KMT), and the Communist Party of China. The Communist party was aided by the Soviets, although on a limited basis, and the Nationalists were greatly aided by the U.S. although the Nationalist party had more troops, more aid, and more weapons, corruption was rampant in their government, and they had sustained heavy casualties in WWII. They were surviving chiefly through help from the U.S. The Communist party had also been planning for over 20 years and had a better formed military, so when they attacked and took the city of Manchuria, things looked very bleak for the Nationalists. The Communist party gained access to tanks and heavy artillery in the city. Soon, other major nationalist cities were won over by the Communist party, most without bloodshed, and they were ultimately victorious. Many imperial powers gave up their powers after WWII because they were exhausted from the war, and had to rebuild their countries and focusing on the colonies would have been an unneeded hardship to many of them. The colonized countries also realized that the imperial powers were weak, and many of them knew that they were not the epitome of strength that they had previously thought. This weakened direct imperial influence all across the world, for both of these reasons. 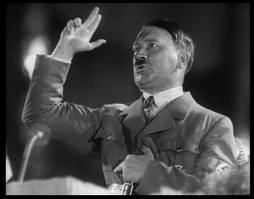 One of Hitler's speeches, a way he created nationalism in Germany. The fall of the Berlin Wall, a message to the world that communism had fallen along with it since it was divided between communism and capitalism.